A member of the Hudson River School of painters, Frederic Edwin Church (American, 1826–1900) masterfully portrayed the wonder and unspoiled beauty of nature in early America. 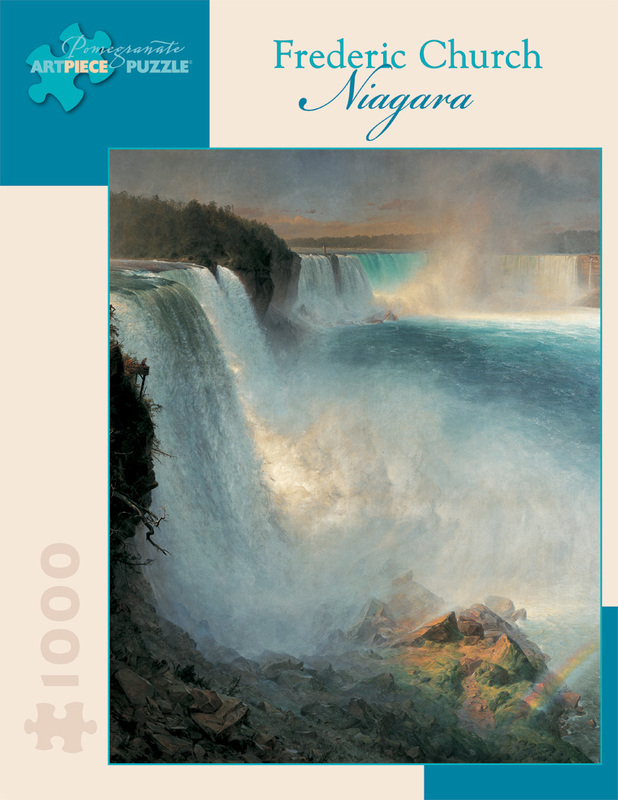 Here, Church’s large canvas captures magnificently the drama of Niagara Falls, one of the country’s most famous landmarks. This painting, based on a drawing Church made at Niagara in July 1856 and on a sepia photograph touched with color, was commissioned by the New York art dealer Michael Knoedler in 1866. It may originally have been destined for the Universal Exhibition in Paris, as Church had been selected to represent America there. It was bought in 1887 by the banker and philanthropist John Stewart Kennedy, who presented it to his native Scotland. It is the only major example of Church’s work in a European public collection.